Congratulations on your engagement! It’s now time to plan your wedding! The secret to wedding planning and event planning is to have fun with it. Lots of people in your life will have different pieces of advice on how you should organise this special event – from your wedding invitations, wedding bouquets, wedding decorations and even your wedding vows – but stay firm. It’s your day, so take charge and enjoy every moment from beginning to end. To take the stress out of event management and bring back the joy of love, we’ve put together an easy to follow Wedding Planning Checklist. 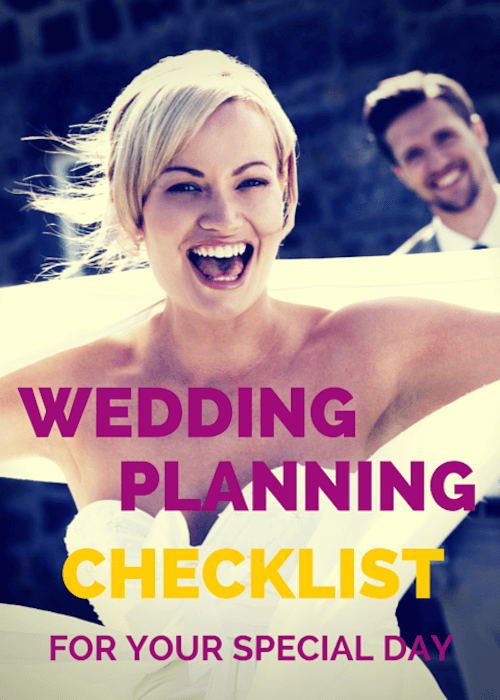 This wedding checklist, available below or as a printable PDF, features a comprehensive list of all the possible facets of wedding planning. However, if one particular activity is not something you’re personally wanting to do (or can afford to do! ), simply ignore it and move on. With this wedding planner checklist, you can make the celebration of your marriage as simple or as intricate as you wish. Let’s get straight into it. ▢ Choose your engagement ring (if he hasn’t chosen for you first!). Alternatively, find a designer to create you a custom ring. 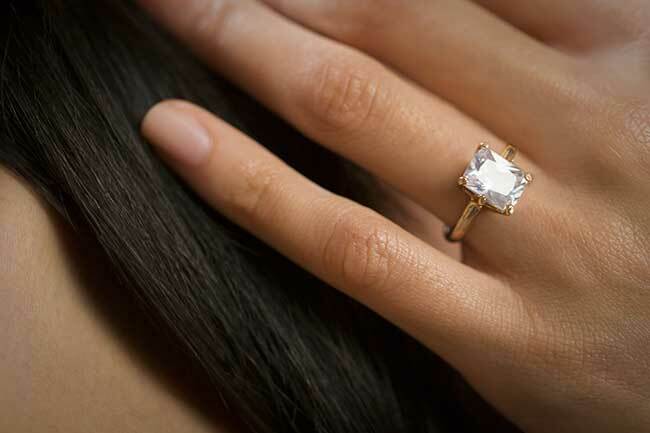 ▢ Once your engagement ring is purchased, consider getting it insured. 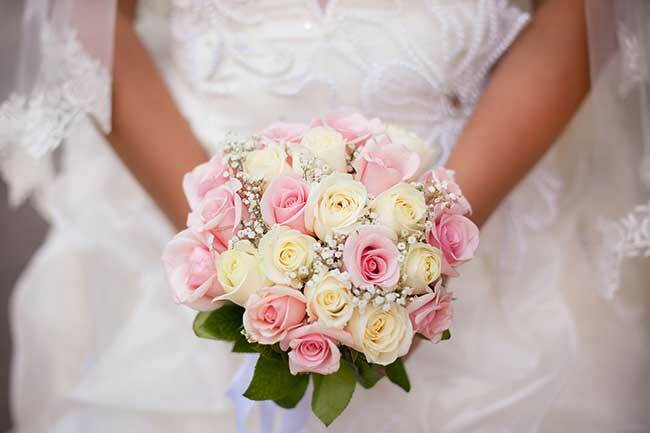 ▢ Decide what kind of wedding you want (style, theme, formal, informal). For wedding ideas hop online and start browsing wedding blogs, bridal blogs and Pinterest. Create a wedding board on Pinterest and start pinning your favourite finds – wedding make-up, wedding flowers, wedding decoration ideas – or create your own wedding website or wedding blog. ▢ Throw an engagement party! If you can afford it, start generating excitement early by fully catering for food and drink otherwise organise a basic BYO affair. But be sure those you invite to your engagement are also on your wedding guest list or they’ll feel let down when they discover they haven’t made the cut. ▢ Did organising your engagement party wear you out already? Well, girl, that’s nothing. 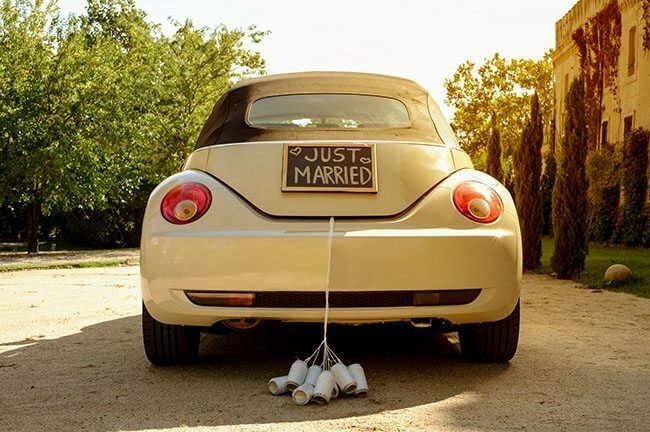 Consider hiring a wedding planner to help with the rest of your journey into marriage! ▢ Set a budget. Will you be paying for all of it or will your families help? Find out as soon as possible, so you can save accordingly. Decide the most you wish to spend (then double it!). In all seriousness, establish a wedding budget early by writing a list of all the things you’d like to include in your wedding. Scale your priorities up or down by labelling items and activities as ‘must have’ ‘nice to have’ or ‘ideally have’. If it helps, compile a preliminary guest list. ▢ Put together some date options. If possible, keep it flexible. ▢ Start searching for wedding venues. Will your ceremony and wedding reception be at the same or different venue – or nearby? How many people do you need to sit? Do they have wedding packages? Do they allow outside catering? Know the right questions to ask. ▢ Book the venue or venues early! Once this is done, consider the date set. ▢ Consider purchasing wedding insurance. ▢ Decide who will be in your wedding party (Maid of Honour, Bridesmaids, Best Man, Groomsmen, Flower Girl, Ring Bearer) and invite them! Choose carefully – remember you’ll be conferring with regularly over the next year. ▢ Finalise your guest list. ▢ Pay any early invoices that are due. ▢ Start searching for your bridal gown! For inspiration, visit bridal fairs, browse bridal stores and window-shop online. Alternatively, if you’re looking for something completely unique, research and select a dress designer. ▢ Send out ‘save the date’ cards, email or text messages. There is no such thing as too early, particularly if there’s travel involved (e.g. destination weddings or people who will need to travel to you). 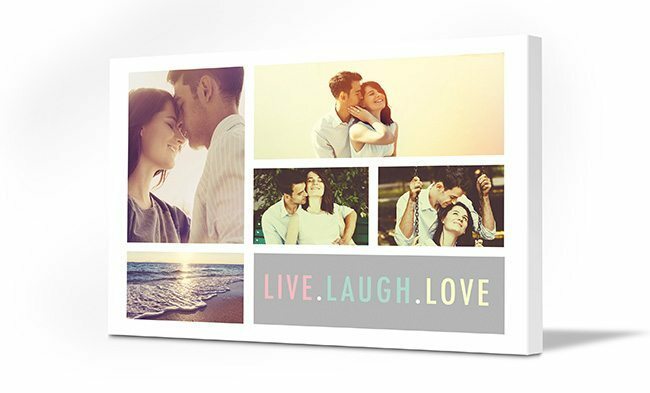 ▢ Create a collage print of your engagement on canvas, acrylic glass or brushed aluminium. ▢ Start researching celebrants (secular or religious) who suits your personality, values and style. STRESS RELIEF TIP #1: Get lost in Googling honeymoon destinations or, if you’ve already decided on a place, Google all the different reviews, tips, photos, videos and activities that will be available to you. Start dreaming of the precious time alone you’ll have with your partner away from work and the cares of the word. 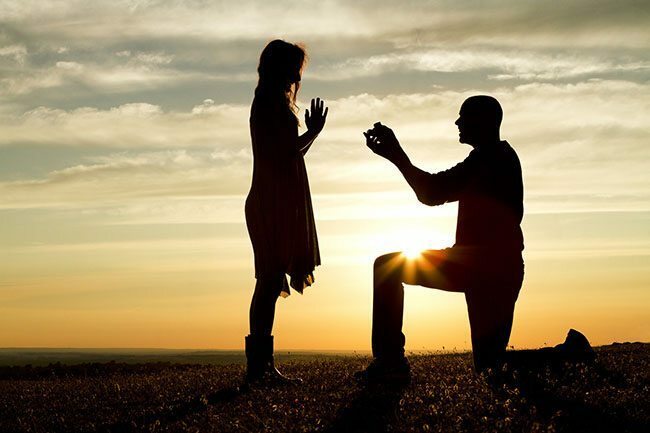 ▢ Finalise the design of your custom engagement ring and start wearing it! 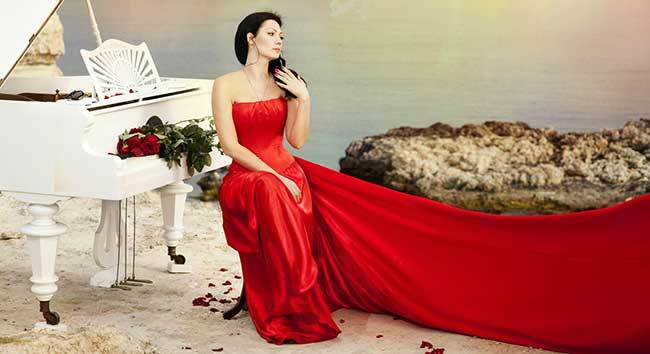 ▢ Finalise your wedding theme, style and colours. ▢ Start researching wedding professionals, vendors whose job it is to help make your day the very best that it can be (be sure to secure an agreement in writing). Interview multiple vendors until you find one you connect with, admire and trust. ▢ Purchase as many items as possible early so you can check them off and feel a sense of achievement (otherwise later is fine too!). ▢ Meet with your bridal party (your partner too!) and make sure they know what their duties are. ▢ Pay any invoices that are due and review your budget to ensure you’re on track. Update accordingly. 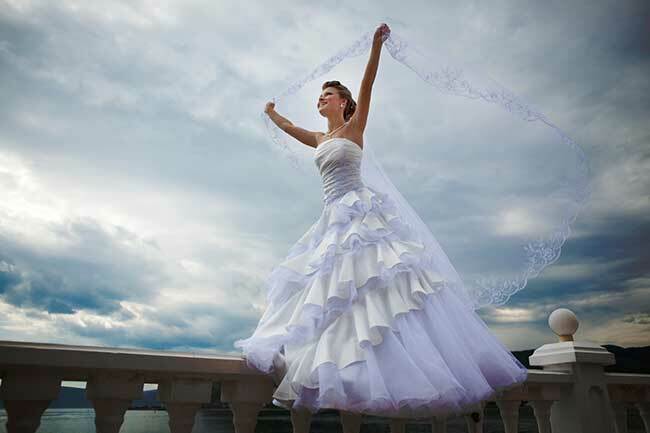 ▢ Select a bridal gown or wedding dress designer. Be aware you will need to set aside time for a minimum of three fittings. ▢ Select bridesmaids and flower girl dresses or designer. Let them know to set aside time for at least two fittings. ▢ Discuss the design and wording of your wedding invitation with your families and stationer or consider online invitations (Greenvelope, Paperless Post). Include links to travel and accommodation information. For paper invites consider links to sites that service this online detail such as weddingchannel.com. ▢ Book a wedding celebrant (secular or religious) and fill in any required licencing paperwork (different across Australia). ▢ Select an MC for your reception. ▢ Start searching for wedding reception caterers and looking at menus. ▢ Start searching for wedding cakes, bakers/cake designer/Pâtissiers and doing taste testings (essential!). ▢ Start talking seriously with your partner about honeymoon options and begin researching airfares, accommodation, transport and entertainment. STRESS RELIEF TIP #2: Go shopping for bridesmaid dresses or fabric and patterns with your bridesmaids! It may be harder to decide with everyone’s input, but at least they’ll be happier with the result. Do lunch afterwards or arrange a pamper session (manicure, pedicure) to get everyone into the spirit. ▢ Choose your wedding bands (take him shopping!). Alternatively, find a designer to create some custom rings. ▢ Decide what you’d like to get engraved on each of the rings. ▢ Arrange ring resizing and engraving, as required. ▢ Once your wedding bands are purchased, consider getting them insured. ▢ Decide what type of gift you’d like your guests to give: online gift registry, instore gift registry, cash via a wishing well and/or charity donation. ▢ Arrange a gift registry should you decide to have one. ▢ Have your first dress fitting. ▢ Hire or purchase the groom’s tux and groomsmen tux and ties. ▢ Start searching for bridal shoes, bridesmaid shoes and accessories for all. ▢ Start researching wedding gifts for bridal party and guests (favors). Consider the theme and colours of your stationery as you might like to coordinate your gifts with the invitation, menu cards, place names and thank you cards. 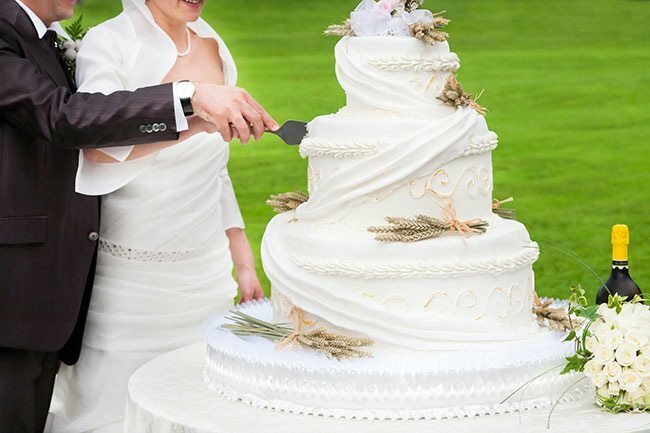 ▢ Decide on a wedding cake and book in the cake designer/Pâtissiers. ▢ Book the caterer and decide on the menu. Taste test if necessary. ▢ Hairdresser for your partner for the week prior to the wedding day. ▢ Book your honeymoon airfare, accommodation, transport (e.g. rental car) and entertainment. STRESS-RELIEF TIP #3: Take a dance lesson. Arrange for you and your fiance to attend a dance lesson. It’s not only great practice for your first dance together as husband and wife, but you’ll have a lot of laughs as well. ▢ Finalise the design and purchase of your custom wedding rings and, once received, keep them in a safe place! ▢ Finalise your guest list. Get everyone’s postal or email addresses. ▢ Bridesmaids, flower girls and mother of bride to have their first dress fitting. ▢ Check in with the groom that he and the groomsmen are all sorted with suits, ties, shoes and belts. ▢ Confirm the text in your invitation with your stationer and revise as necessary. Request a sample and make sure it’s 100% correct! There’s no turning back once it’s gone to the printer! ▢ Hire a calligrapher if needed. ▢ If you and your groom wish to buy a gift for each other on your wedding day, now is the time to do that. ▢ Meet with celebrant to discuss plans for the ceremony. ▢ Book the limousine or carriage for the bridal party. ▢ Book the ceremony chairs or pew rental. ▢ Start discussing vows with your partner and celebrant. Would you like to include some unique promises within the ceremony? If so, start thinking about what you and your partner might like to say. ▢ Finalise arrangements for your desired décor with the reception venue host or your wedding planner. ▢ Book the groom’s cake, if relevant. ▢ The rehearsal dinner is often held on a Friday night, the night before the wedding, to give people an opportunity to attend after work. ▢ Put together guest list for rehearsal dinner. ▢ Book the rehearsal venue. ▢ Book the rehearsal dinner venue. It may even be your own home. ▢ Or, if you want to make the whole thing super easy, just book a big banquet table at a restaurant! ▢ Do a hair and make-up trial. You, the bride only for this one! ▢ Some church celebrants (officiants) will recommend pre-marriage counseling. Organise this now. 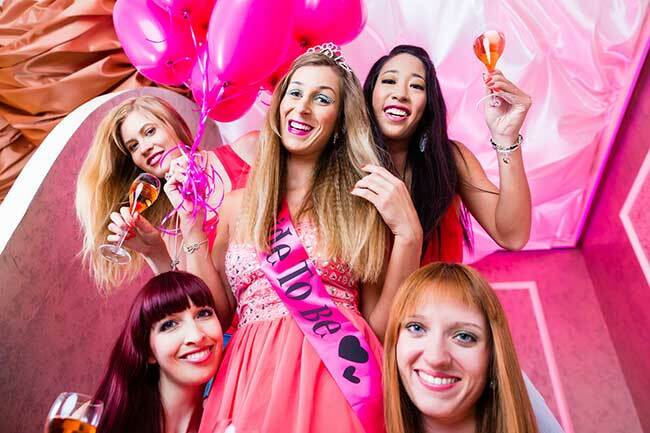 ▢ It’s time for the girls to start planning the hen’s night! Be sure to let them know what you would (and wouldn’t) like to do. Let the girls arrange everything. You’ve got enough on your plate! ▢ Check in with the host of your bridal shower to see how they’re going. Make sure you’ve sent them a list of who to invite. What’s a bridal shower? Oh my, girlfriend, you haven’t lived! Will anyone attend? Only under duress! ▢ Send out your bridesmaid luncheon invitations. You can hold this anytime (or not at all!). It’s a traditional way to say thank you. An ideal time to host this is in the month prior to the wedding, so it doesn’t interfere with last-minute rush. It doesn’t have to be a luncheon – a morning tea or high tea will also win hearts. ▢ Make sure your passports are in a safe place and not about to expire! STRESS-RELIEF TIP #4: Have a wedding vow picnic. Have a romantic picnic with your partner in the park or gardens and write your vows together. It’s not only a great way to diarise this important task, it’s also a wonderful opportunity to reflect on why you love each other so much and why you’ve chosen to marry. ▢ Supply guest list to maid of honour and best man for bridal shower/kitchen tea/hen’s/bucks and rehearsal events. ▢ Have your second wedding dress fitting. 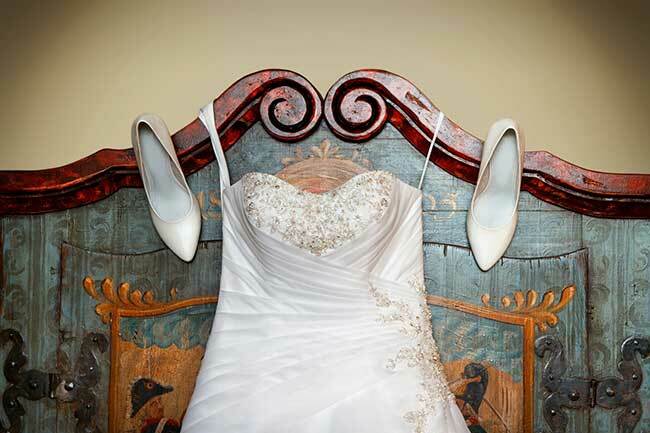 Bring your new shoes along so your dressmaker can ensure your gown is the right length. ▢ Give your bridesmaids and flower girls all their accessories. ▢ Finalise your guest list. You need to send out the invitations 6-8 weeks before the ceremony. The RSVP cutoff date is meant to be three weeks after you send them. ▢ Send out invitations! Yay! It’s very real now! As you receive them, record the RSVPs and dietary requirements for you, your caterer, venue host and wedding planner. ▢ Meet with your celebrant to finalise ceremony details. ▢ Finalise the ceremony seating plan. ▢ Finalise readers and readings. ▢ Choose music you would like to have played before and after the ceremony and/or discuss music options with live musicians. ▢ Start putting together wedding programs or booklets and church ceremony readings, if required. ▢ Invite friends, family and members of the bridal party to make a speech on the night. Confirm their acceptance. ▢ Start drafting a running sheet. Work with the groom and your MC. A running sheet is basically a schedule of the event from beginning to end (wedding party arrival, speeches, cake cutting, first dance). ▢ Choose the style of music and key songs you’d like to have at the reception (and which you absolutely detest!). Work with your DJ, musician or band. 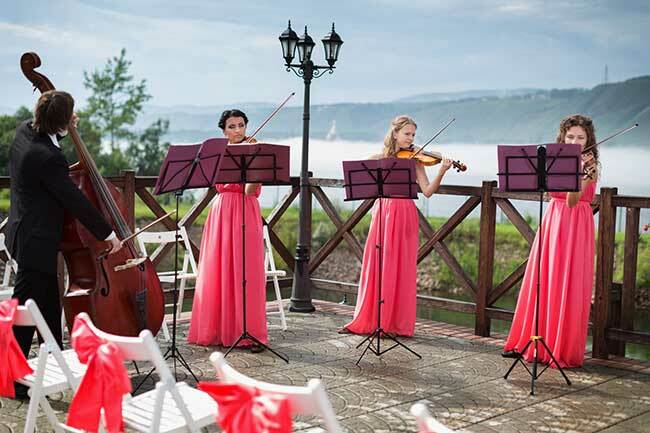 While wedding entertainers do like some flexibility, but sure to at least decide what should be playing when the bride and groom arrive, during dinner and for the first dance. ▢ Finalise the reception seating plan. 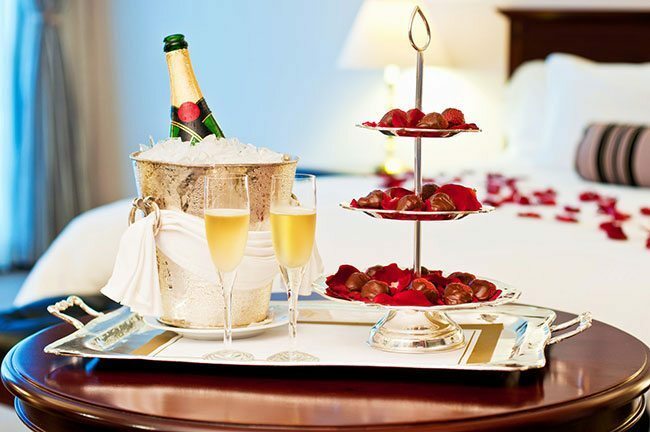 ▢ Book a hotel for guests from out of town and arrange welcome baskets. ▢ Finalise the gift registry. To keep guests happy, be sure to include enough options within each price range. ▢ Schedule doctor’s appointment for any vaccinations you may need for a safe, healthy time away. STRESS-RELIEF TIP #5: Have a couples massage. You both deserve it. ▢ Meet with and ring vendors to confirm dates, finalise deposits and invoices and discuss details. ▢ Continue processing those RSVPs! ▢ Have your third dress fitting. It’s time to confirm with your dressmaker that these will be the final alterations. ▢ Bridesmaids, flower girls and mother of bride to have their second and final dress fitting. They pick up their dresses. 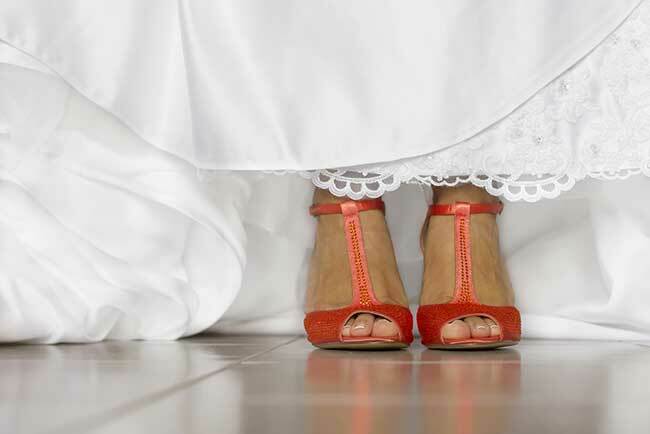 ▢ Start breaking in your wedding shoes. Give yourself plenty of time to practice walking in them, particularly if you’re not used to the size heel you’ve selected. ▢ Did you decided to make your own favors? You better get cracking! ▢ Chat with your videographer and videographer to discuss locations for photos, talk through specific shots you’d like and hear their ideas. Meet with them on location and do a walk through if required. ▢ Finalise your wedding vows. Go on. Check if he’s written his yet! ▢ Finalise wedding programs or booklets and church ceremony readings. ▢ Decide on ‘Something Old, New, Borrowed, Blue’. ▢ Finalise the running sheet and send it to everyone who needs one – Venue, Caterers, MC, DJ, Band. 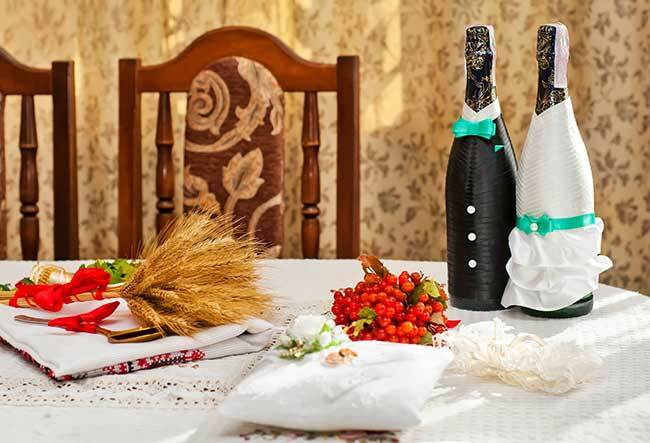 ▢ Make sure everything is organised for the rehearsal dinner. ▢ Attend the bridesmaid luncheon. ▢ Reconfirm all the arrangements for your honeymoon. This is one holiday you want to ensure runs smoothly! ▢ Arrange for someone to care for your pets and plants while you’re away. STRESS-RELIEF TIP #6: Arrange spa and beauty treatments for you and your bridal party, both the ladies and the men! ▢ Start chasing down RSVPs. Frustrating, right? But it’s very important you have the numbers right before finalising the seating plan. ▢ Write a list covering who needs to do what, where and when. Delegate the last-minute, pre-wedding and wedding day duties! ▢ Do your bridesmaids and flower girls have everything they need? Ask them to check! ▢ Have your final fitting and pick up your dress! ▢ Write thank you cards for shower gifts and for any early wedding gifts you may have received. ▢ Send family members your honeymoon itinerary so they know where you are and how they may be able to reach you in an emergency. ▢ Submit a newspaper wedding announcement. STRESS-RELIEF TIP #7: Arrange a romantic dinner for two with your fiancé. It’s vital to take time out to remind each other that, despite all the stress, what matters most is the two of you being together. ▢ Put together a time and location schedule for the entire day – hair, makeup, ceremony, reception – and include a list of contact numbers. Send the list to those who have an important role to play on the day (e.g. MC, celebrant, photographer, drivers, bridal party, father of the bride). ▢ Assign friends, family or bridal party to various tasks – someone to bustle your dress, carry your personals and transport your gifts. ▢ Try on your dress again, just to make sure! Consider it a full dress rehearsal and wear your bridal jewellery, shoes and underwear. Call on your dressmaker if any emergency alterations are required. ▢ If the men in the bridal party have had their suits tailored or hired, make sure they have had their final suit fitting. ▢ Assign someone to return tuxes and rentals. ▢ Confirm delivery times and addresses with florist. ▢ Make sure your celebrant has a copy of your wedding vows. ▢ Start writing your wedding speech. ▢ Finalise the place cards based on the reception seating plan. To help plan place settings, draw out table shapes based on the room layout. Use post-it notes as place cards so you have the flexibility to move people around without redrawing it each time. ▢ Give final catering numbers to the caterer. Make sure they have all the special dietary requirement requests. And remember it’s their job to negotiate this complex minefield! ▢ Plan father/daughter dance and last dance. ▢ Confirm all is organised for the rehearsal dinner, you have everything you need and everyone knows where they’re going. ▢ Get your hair cut and coloured, if you wish. ▢ Have your final beauty appointments – eyebrow, leg and bikini wax plus a facial and spray tan (if desired). ▢ Forgive your husband-to-be for anything untoward that may have happened on his buck’s night. Blame his friends, instead. ▢ Put together a Bridal Emergency Kit or Wedding Day Survival Kit containing items that you may need, but hopefully won’t! For example, tweezers, dental floss, superglue tampons – you get the idea. ▢ Assemble the welcome baskets to visiting guests. STRESS-RELIEF TIP #8: Do a yoga class or do some meditation. You can find meditation apps and CDs that focus on reducing stress. ▢ Check the weather reports. If they are predicting rain, snow or – heaven forbid – cyclone, make sure the venues and vendors all have contingency plans in place. ▢ Get everything you need together in the one place. 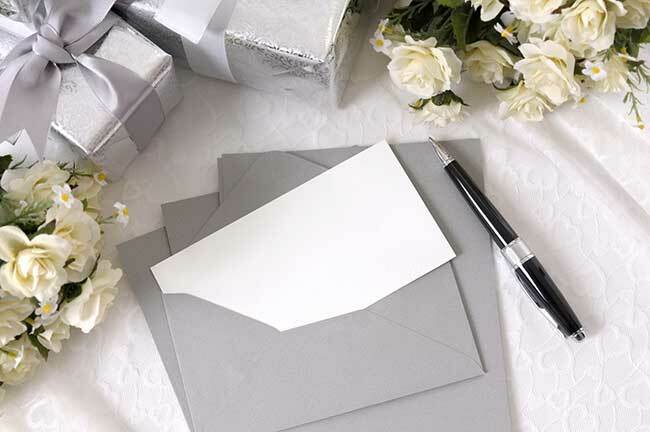 ▢ Deliver all required stationery items to the ceremony and reception venues. ▢ Check in on decoration of the venue. ▢ Confirm that everyone has their readings. ▢ Finish your wedding speech. ▢ Arrange for someone to pack your gifts and other belongings after the reception party, including the top tier of your cake. ▢ Start packing for your honeymoon. Yes, you have to fit in some time to do laundry. Not every day can be glamourous! STRESS-RELIEF TIP #9: Take a few days off work before the wedding. They will cope without you! ▢ Lay out your rings! ▢ Lay out your clothes. ▢ Pick up all the flowers (actually, get someone else to!) and make sure they’re distributed accordingly. ▢ Give your fiancé his wedding gift. 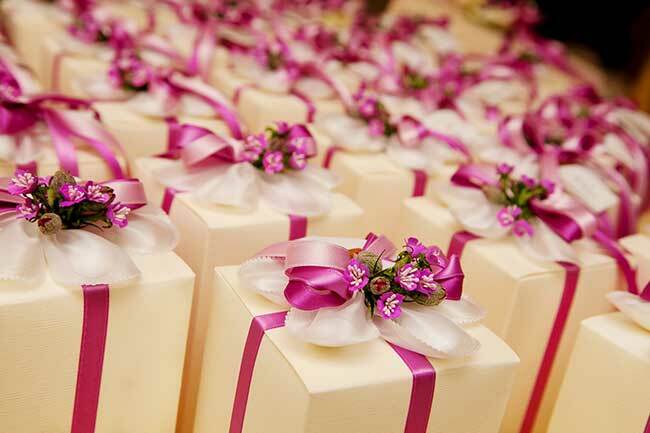 ▢ Give out gifts to your bridal party. ▢ Distribute the welcome baskets to visiting guests. ▢ Get your beauty sleep. Go to bed early! Easier said than done, for sure. ▢ Finalise packing! Don’t forget to pack your passport! STRESS-RELIEF TIP #10: Shun tradition and lie in the arms of your fiancé all night. Spending time apart may cause unnecessary stress at an already stressful time. ▢ Give the rings to the best man or ring bearer. ▢ Don’t stress on the day. It’s too late then, anyway! Everything will be fine. ▢ Don’t forget to throw your bouquet! ▢ Smile until you cannot possibly smile anymore then smile some more! ▢ After the ceremony, greet everyone and thank them for attending. ▢ Feel the love. Gaze into your new husband’s eyes. Don’t get lost in the crowd – stop to appreciate him as well. ▢ Dance the night away. ▢ Allow plenty of time to get ready. ▢ Eat a good breakfast! ▢ Have your hair and make up done. ▢ Begin getting dressed two hours before the ceremony. ▢ Live in the moment. Enjoy it all. 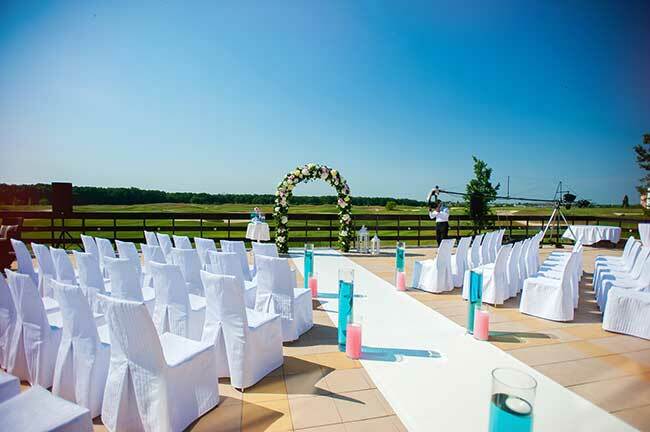 ▢ Ensure hire companies have picked up their goods from the ceremony and reception venues. 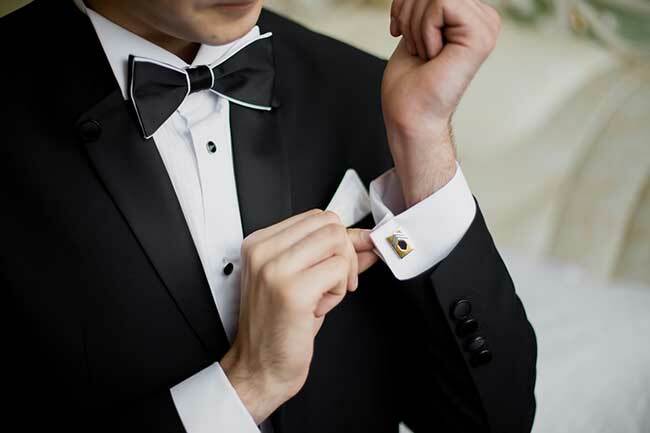 ▢ Make sure your groom and groomsmen return any hired tuxes. ▢ Relax! Enjoy! You did it! ▢ Arrange gown preservation and/or cleaning. ▢ Write and send your guests thank you cards. Don’t leave it too late! 8 weeks maximum! ▢ Exchange any unwanted or duplicate gifts from your gift registry. 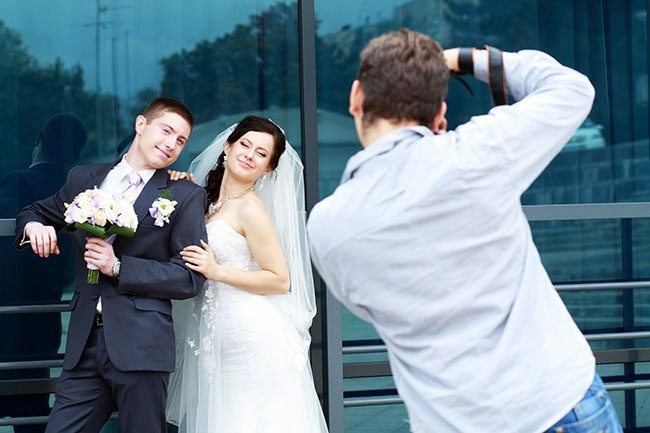 ▢ Check in with your photographer to see how the edited proofs are coming along and with your videographer to see how the edited footage is going. ▢ Start practicing your new signature. Oh, we know you’ve done that already! ▢ Receive images and video from photographer and videographer. 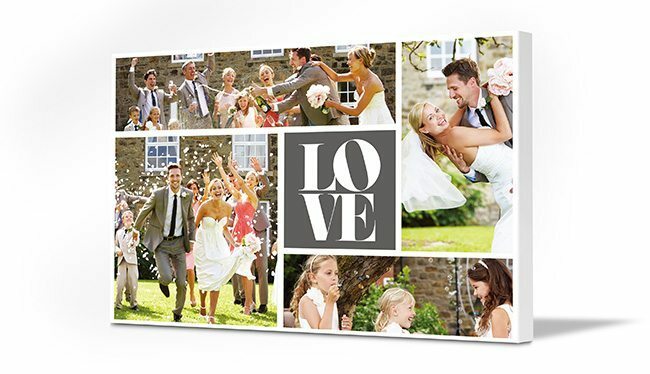 ▢ Put your favourite wedding photos onto a beautiful custom Canvas Factory print. 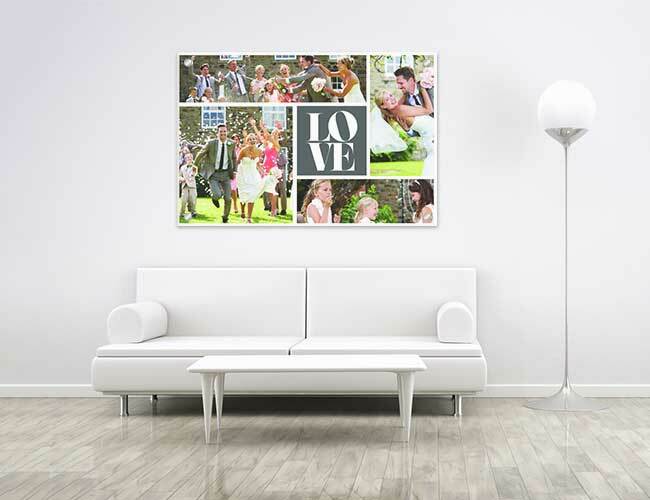 You can choose collage, themed, split image or wall displays in canvas, acrylic glass or brushed aluminium. Congratulations! You did it! Your fairytale wedding was a success. Good luck with all that the future is yet to bring you and your husband.